About the podcast: Why do guys just want to f*ck you once then watch your Instagram stories until the end of time? How do you get over a breakup when you feel like you're gonna die? Should you boycott dating apps and actually meet people in the wild? And when should you give it up? 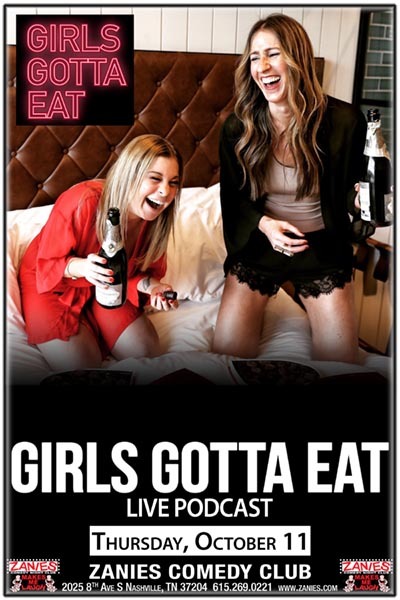 These are all burning questions answered on Girls Gotta Eat -- a hilarious and uncensored podcast from Ashley Hesseltine and Rayna Greenberg (the ladies behind Instagram sensations @BrosBeingBasic and @OneHungryJew). GGE is a top comedy podcast on iTunes, has been reviewed as "life-changing" by thousands of listeners, and the live shows have sold out in top comedy clubs across the country. Cheers!